december, you've been a tough pill to swallow but we are pushing through none-the-less. christmas is literally days away and time is passing by faster than ever. we decorated the schoolroom to christmas music and a tiny dusting of snow just outside of the schoolroom window. lots of cuddles, lots of pjs, days have been cozy and slow. it takes faith to create! to trust that what God has for you is everything you could ever want and more. it takes faith to create something that you haven't quite seen before to be inspired sole by the vision that he plants inside of inside of you. you aren't a carbon copy someone else and neither will your success be. it takes faith to create the story that is your own. "sometimes what God puts on your heart is bigger than what you can communicate to other people -Jerome Lewis"
...those words have been on constant rotation since I heard them in a service a few Sundays ago. The fact is that often times I have trouble even communicating the dreams in my heart TO MYSELF!!! This morning we headed out on a walk to the lady baby's doctors appointment with my dreams heavy on my mind. You know us... Always trying to "figure it all out"!!! "but none of this makes sense ?!" "but these dreams feel SO impossible!" "dream even BIGGER??? I have no idea how that's even possible"
"people will think we've gone plum crazy!" "how will I EVER live up to all of that?!!" it was a reminder to me to put HIM first!!! in an effort to dive deeper into my relationship with God, I would try (in my own might) to make changes in my life as I learned different principles of living this Christian life. this led to failure and frustrations that I have trouble even thinking of without it turning knots in my stomach. one night, the frustrations were high and my heart was so heavy. what kind of God makes someone feel this way??? whatever happened to your yoke being EASY (whatever a yoke is) and your burden being light ???? thats when i heard the soft whisper in my spirit...."what matters most is faith expressed through love...." (galatians 5:6) the message was so clear, so certain. a life of faith. a life a love. "how do I live this life? ", i whispered back. this began the journey that has been exploring this faith&love life. theFALLCo was birthed as "tiny" (but power packed) memos/revelations from him to me... theFALLCo was created to help me have the faith to explore what those revelations revealed to my heart. to have the faith to create this vision in collaboration with HIS will and HIS abilities. i have to trust that HE will show me the way and chose to obey even when i am struggling to understand. (back to our walk from the doctors office) "i will look to you FIRST Lord, and let you add all these THINGS to me", i said aloud. in that moment the words of my mouth created calmness in my heart. the words that i spoke created the peace and confidence that i needed more than anything else. "living without limits comes from a person whose heart is more captivated by a vision than a problem ~ "
i love this quote so much and it applies to my whole entire life right now but in particular, my marriage. sometimes our circumstances make it hard to find time to connect with one another's hearts. its hard to see past the the challenges of each day. hard to rest in HIS promises. hard to constantly take the necessary moments to recharge and refuel. i have no idea what it would be like to live in this world and navigate through marriage without our foundations being rooting in HIM. i am so grateful to have someone who loves our God like i do. and evermore, someone who believes that HIS every promise for our lives are for NOW and for ALWAYS. TheFALLCo. was birthed and is an ever revealing love letter/blueprint from my FATHER above. i know it just seems like a t-shirt company, but it really is so much more. the other day i read that God sometimes responds to our prayer with an answer, while other times HE responds to our prayers with a "journey" that reveals those answers along the way. YEP. PRETTY MUCH! in building this "business" HE teaches me day by day, not to conform to the ways of this world, but rather to walk each one of our days out by faith and leaning on + resting in HIS love. i say all of this because it has everything to do with this little trip of ours. it has been well over a year now that we have been walking out a new level of our faith as we learn to truly trust in HIM as our healer, our teacher, our provider. gosh HE is so very good. good not because HE parts the sea and raises the dead in our lives everyday, but rather, like a good teacher... reveals to us the miracles that are, in fact, laced in every part of our EVERY DAY. we spent a few days in D.C. away with one another and it was so very special. we didn't do anything spectacular. we didn't travel anywhere exotic or grand. but we enjoyed being together so very much and couldn't help but smile at all of the adventures that our FATHER has in store for us both near and far. there was not one argument. there was not one single moment of confusion that wasn't nipped in the bud right away. there was not one single moment that was taken for granted. after ten years of challenges and trying times growing + navigating through life together, i really can not express how simply wonderful it was. just believe that it will get better. believe that God works all things out for your good. beielve that HE is both, the author and the finisher of our faith. beielve that the vision in your heart for your marriage, your family, your business, your life.... is so much bigger than any problem you encounter. just believe that God is, in fact, GOD! i have no idea exactly how we got here. i remember wearing her in my wrap and looking down at her face staring back at me. i remember staring so deep into her eyes and thinking, "i wonder what you will be like when you are THREE?" she was such a beautiful baby then and an even more beautiful little girl now. this morning, i plan on making her favorite breakfast, painting her nails, braiding her hair, coloring pretty flowers, playing dress up, opening our play restaurant for business and singing the Home Soundtrack at the very top of my lungs with her. but right now, i just want to stare at a few more photos of her when she wasn't THREE and was still my lady baby. i love my little lady baby with all of my heart. happy birthday my precious little girl. i can't help but to think about my last baby this morning. she will be a three year old in just three days and while it kinda makes me sad, i am constantly reminded that she is such a gift and evidence that faith does work! i won't get into all of the details but this is the doll and the rug that i bought when i found out i was pregnant and months before they confirmed that she was, in fact, a baby GIRL! i have been browsing through photos/video (like i always do :) to find precious little memories of our lives after this cutie came along. as she sits right next to me, with her laptop right beside mine (doing work) i am so grateful that she is mine. i am so grateful for the ability to have such big vision. and i really am. but sometimes big vision can feel like a curse. sometimes big vision feels like the source one of my biggest struggles. i find that my dreams are so big that there is constant temptation to be overwhelmed and confused with where to begin. what i am learning is that i get overwhelmed because of my tendency to ignore the importance of the everyday. and more specifically the importance of my faithfulness in the everyday. a few weeks ago, one of my biggest hinderances was the lack of transportation. there was no car! since brian lost his job, over 14 months ago now, we were down to one car. after accepting a position 11 months later, we still had just one car and he used it for work. so difficult to be a homeschooling family of three w/ no transportation!!!! not easy. but we continued to believe that God would provide just what we need when we need it (key point). i was washing, yet, another dish and folding, yet, another piece of clothing when the Lord impressed this quote upon my heart. i had already spent half of the day inside the house, kids playing video games, me walking around in circles not accomplishing much other than storing seeds of ungratefulness in my heart. i've made major progress this year, not letting the temptation to be confused overtake me and keep me from moving forward. but it is a constant struggle. what i have found to be true throughout these last several months is that GRATEFULNESS is KEY in overcoming and remaining faithful. and in a way that made me chuckle + grimace all at the same time, the Lord impressed upon my heart yet again, "but are you GRATEFUL?" at that moment i knew that HE was offering me an opportunity to chose LIFE. he was offering me the opportunity to be faithful/full-of-faith... TODAY! HE wasn't asking me to deny that my problem existed. what he was asking of me was to REFUSE to let the problem decide what i DO and DO NOT do............ TODAY (key point) !!!! at that point i saw things differently. what if, instead of walking the aisles of a store and browsing all the things that i can not afford, what if i walked through the aisles selecting the things i desired? what if i spent a little time making my request known to him? just a sweet little conversation with my father, just as my babies tug on me and ask of me (so delightfully) as we enjoy our experience browsing together through the store. they are never exactly sure when the items they have requested will show up, but still very certain that they will enjoy them one day very soon. what could i do to sow seeds of faith in these moments? what i found to be true is that simple words of gratitude changed my whole world around TODAY. words of gratitude allowed me to have fun in these fleeting moments and focus my attention on the things i currently possess. the beautiful, healthy babies he gave me to enjoy. the heart full of dreams that he crafted just for me. the car that was gifted to me for my use and with no toil!!!!! every message that is displayed on the items in our shop were first and foremost created for ME. they have been driving forces as i attempt to be both willing and obedient in living the life that God says was meant for me. and for that, i am forever #taggrateful!!! it is earlier on in the night (about 9:28pm), the kids are in bed, the kitchen is halfway clean, there is a ginormous pile of laundry sitting right in front of me ready to be folded and put away. i decided to take some time to clean up the crazy amounts of photo/video files that are floating around on my computers/hard drives and came across these pictures that i took just a few months ago. i'm just sitting here, in the quiet, thinking about all the things i have going on right now. i started the blog back up, began our family youtube channel (From Syreena, With Love), our homeschool youtube channel (Faith & Love Adventure Academy), started our t-shirt/lifestyle brand (TheFALLCo), began reviving/developing our photography/filmaking business (Syreena B Creative) sprinkled with a few extra little secret goodies on top (can't wait to share :). i have no idea what God is up to in my life (well maybe i have a little idea) but i have spent sooooo much of my adult years making decisions based on how i thought it might bring me income. i've pushed away so many ideas and chosen not to take on countless projects because of a lack of money. it's really, really sad now that i look back on the years that were waisted. at the beginning of this year i made a decision not to do that any longer. i decided that money was no longer my god and that i would embrace this adventure of faith allowing God to be my provider and to show me the way. what i discovered is that adventure is less about airplanes and fancy resorts. and, yet more about packing light in possessions and heavy in trust, obedience, flexibility and most of all love. about choosing not to let fears keep you from moving forward. about being willing to explore and enjoying the NOW. what i am learning is that faith IS the adventure. it IS the journey. i felt the Lord speak to my heart, to say in a way that only he could say... you arrive only to depart again. get to know this feeling, i was told. and get comfortable with it... don't get too attached. bring your camera take videos, record the events in your journal... youll want to remember this! IT'S AN ADVENTURE!!!!! GET READY!!!!! i wrote out words of faith on the sidebar of this blog a few years ago. go on... read it again, lol. although it has felt like such a long drawn out process and i often feel like i am "all over the place" documenting these times really has shown me how much HE knows the plan and i don't really need to. when i look back on things that i have written earlier on and see them unfolding right in front of me it gives me comfort in knowing that HIS plan for my life is greater than whatever I can think of. our website is LIVE you guys!!!! and i must say that (even with all of the imperfections) there is so much joy in starting and finishing something without glorifying "perfection". all of the website's links should be functional and the basic information is entered. i am pacing myself and the growth of the site/business trusting that things will grow organically, in time. i am so excited!!!! i would love it if you would visit and take a look around. let me know if there are any areas/links that are broken etc. i set up a discount code for our launch!!! enter the code: LAUNCHDAY at checkout to receive 10% off your first order!!!! sidetone: i never really know all of whom are reading this blog of mine, but i am sure glad you are. it gives me accountability and really brings a little extra joy to my life to write out small clips from this journey and for that, i am so grateful. i love this quote soo very much. i actually barely have words that describe just how much i love it. i found it on page of a devotional journal that was given to me by a family member. and lately i can't seem to get it out of my head. i am finishing up lesson plans in the quiet of the evening as the kids have finally drifted off to sleep. i am trying to make a habit of opening up my laptop, disciplining myself to stay off of social media, and forcing myself to stare at a page of the notes app on my computer until the words start to flow. i normally scroll through blogs and social media sites while i zone out and daydream about all the things that i wish i could do, places i would love to go, people i would like to meet and things that i would like design/make/create. but instead of spending the next hour doing what i normally do, i would rather just start doing it. being a doer is hard. its so much easier to just think and daydream about all of the things that you want in and out of life. especially when you have a lot of obstacles in the way. last saturday night i was thinking about all of the ideas that have passed through my mind over the last several years. it really made me think of a quote that i read a little bit ago saying, “ideas are easy, execution is everything”. it is so very true. so so very true. i wouldn’t be able to count all of the really good ideas that i have had over the years. but the fact that matters is that they have never gone anywhere. some of my ideas have made it through conception and then up until the launching phase, but never made it quite through. lately i have felt “stuck” in life. things have been good. God is good. trials have been tough and things have been hard... but good. i kept feeling frustrated and guilty for feeling so frustrated. and for what? i wanted my family. i wanted to be home with them. 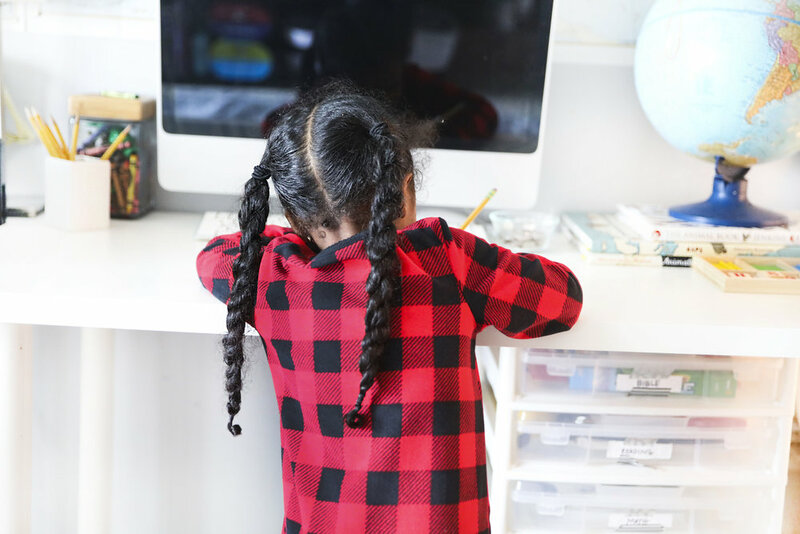 i decided to stick to our decision to homeschool our babies. these were all things that i chose. and then it hit me like a ton of bricks. was i being ME. was i being who God created me to be. I bring something special to the table and am i actually using those special things to add to this life of mine? who says staying at home and homeschool has to look a certain way? what should it look like for me? God’s masterpiece me? my head starting spinning with ideas that i could barely keep up with. well, how does this all make sense Lord? it feels so very all over the place. i sat down on the sofa with a sketchbook, a pen, and my laptop and starting writing out and drawing up my thoughts and ideas. i wrote out, and listed, the things that i am passionate about, the things that God has been teaching me over the last few years etc. i took a moment to rest my mind from all of the thoughts and ideas and ended up stumbling across a blog post laying out the details of how he started a t-shirt business from start to finish in 24 hours. it was less about his ultimate vision and more about the need to simply create something from start to “finish”. i was inspired. the plan was to simply create. i dug out all of my sketchbooks, journals and notebooks and challenged myself to begin, overcome perfectionism and strive for DONE. these were the very moments that theFallCo. was created and established and i am so excited to share more. my little lady snuck in every few minutes or so to pass out kisses and help me design. she is such a joy. it feels like its going by way too fast, the fall. thanksgiving is just around the corner so the holidays are basically in full swing right now. one of my favorite things about the fall is that it feels like its the sweetest reminder that winter is coming. and while i don't know many people that are in love with the winter, to me, it is a season that has a beautiful way of slowing things down a bit. with every leaf that i watch drift from its branch to the ground, it feels like tiny whispers telling me to take it slowly, to enjoy the small/important things despite all of the mountains around me. its been exactly 7 months and 2 days since BDH lost his job and we are in such a space of transition right now. a space of somewhat anxious excitement that often crosses over into borderline worry, when we aren't careful. we recognize the tiny signs all around us that the seasons are changing and it carries both excitement and worry, depending upon which one we choose that day. it is my prayer that we will be strong enough to choose excitement far more often than not. the excitement of knowing that God is our source of strength, our source of comfort, our source of provision, our source of rest. im grateful for this season. the lessons that are learned through the trials and the mistakes are invaluable. i want to remember them. i want them to serve as reminders of HIS faithfulness and HIS love as a father. i understand this so much more as i grow in parenting my own children. the lessons that shape their character come from the mistakes they make and the seasons of waiting/resting. i get it. i totally get it. for me, this fall/winter serves as a visible reminder of resting in HIM. that HIS plan is better than my plan. that HIS ways are better than my ways. i keep meditating on a message that i came across several weeks ago. i play it over and over again in my head as if it where my very own conversation with HIM. "holy spirit: don't you love how far you can see? holy spirit: look how far you can see right now. don't you love the clarity that winter brings? holy spirit: do you feel anxiety in the trees? do they feel anxious that they'll never have leaves again and bloom again? me: Lord, of course they dont. holy spirit: theres a confidence and a security in my heart. do not misinterpret this season... get the necessity of seasons of rest and barrenness to the fruitfulness of your spring and harvest." winter is coming and I'm entering into this season of rest with confidence and security! <<< remember this syreena, remember this! and by all means, please don't let the position of the little post of mine mislead you. this is a position that i have CHOSEN. its a position that i am rooted in. i have my moments. my days are often filled with these "moments". moments full of tears and frustrations, sometimes of jealousy, fears & doubts. yet, i stand on the FACT that HIS power is made perfect in my weakness, and HIS grace is sufficient (2 corinthians 12:9). soon, and very soon, this will all be a distant memory written on a few pages towards the beginning of the story of my life. it's 11:01pm and i just finished up my lesson planning for the week. the soft amber light and sweet scent of a cranberry plum jam candle is filling the air as i open my computer screen to the pages of this blog, for the second time this week. i have a page full of wonderful topics and blog ideas that i have been preparing for the last several weeks. and, yet, i sit in front of this screen of mine and can't seem to bring myself to write about any of the topics that i've listed thus far. you see... let me explain. this seems like the billionth of times that i have tried to get this blog going. i have ideas, i have plans for this space of mine... but i can never seem to move it along in the way that i want it to go. its been six years now since being impressed upon to start writing. I've started and stopped and started and then stopped again. i couldn't quite figure it all out! what exactly should i write about? what is it that i am supposed to be sharing? how am i supposed to be sharing it? i want to be inspiring, uplifting, encouraging. i don't REALLLLYY want to look like i have it all together, but then again... i kinda do. i want to write after I've figured things all out Lord. i want to share when i can come from a place of strength and boldness. and yet, i am having a hard time getting to that place. i want my words to be properly put together and all i can seem to put together are extremely RAW words that, if written on actual paper, would be drowned in the tears that are currently pouring from my eyes. i tried once before...to write openly and honestly. the way i felt i was being lead to. in the voice i felt i was to share through. i felt too exposed. it scared me. i stopped. the past six years I've had crazy ups and downs. i can't imagine what it would have looked like to have a lot of those raw thoughts and experiences documented here for the "world" to have access to. but i do know that i've experienced the most growth in my walk with the Lord when i've chosen to share with others. to obey. it feels weird writing this way. it feels so incomplete. its feels like I'm missing pieces, like I'm leaving things out and so this post won't make much sense. but I'm believing that it will all make sense in the end. the lady baby's first birthday party was yesterday and it was magical. that is, if magical is defined as a beautiful day, pretty decorations, paper butterflies and a promise to always pay a party planner from here on out. magical, it was!!! i haven't gotten around to download any pictures just yet but i figured that it was about time i made myself sit down and try and recall the events that led up to this beautiful baby girl being in my arms on this day exactly one year ago today. i still had a good four weeks left. i had been nesting for... forever. and i was pretty much been over this pregnancy since it started, the hardest one yet. the sick and sore days far out weighed the good ones and i spent several nights dreaming vividly of her sweet little face to keep from freaking out about all of the pain and discomfort i was in. i don't know if it was really as bad as i remember it to be but i know the better days were far and few between. her pregnancy was beyond a surprise. i was on my third week of insanity when i had become unable to keep my eyes lifted for longer than thirty minutes or so. it was bad. so bad that i would gather snacks in a big bowl for the boys to grab from throughout the day and be in the exact same spot on the couch when BDH came home as when he left for the day. bad. i started having very faint contractions in the early evening. i knew what they were but i was forcing myself to believe that they weren't what i thought they were. it was too early. as badly as i wanted her out and in my arms i still wanted her to keep baking for the four more weeks that we needed her to. it had been raining pretty heavily for the last few weeks or so. one storm after the next it was weird. i started timing the contractions and they were very irregular and still very very faint. that night before going to bed i prayed. "Lord if this is the real thing, lets get this rolling and if not please let these pains subside." i slept well and the next morning i woke up and the contractions were coming. with each pregnancy my prayer had always been for me to enjoy it. for the labor to go even smoother than the last and a quick and easy recovery. i called the doctor and the doctor told me to come on in. i showered, put on make up and packed the boys in the car to drop them off at the hospital with the grandparents. excited. when we arrived they took us back and hooked me up to monitor the contractions. of course they had drastically slowed down by then, i was only about a couple cm dilated and it looked like i was about to be sent home. as i was getting dressed i knew this wasn't right. i let the nurse know that she was coming today and although the look in her eyes said "no, ma'am", she said, "well if you'd like you can go on a two hour walk and see if that gets anything moving. I said, yup! BDH went to pick up food and I set off walking. the next two hours were beautiful!!! i really don't know how else to describe it. BDH got stuck out in the rain, the water flooded a lot of the roads and he was having trouble getting back any time soon. so it was just me and my Lord. i prayed, i confessed the same couple of paragraphs I had taken a quick screenshot of from the book "supernatural childbirth" and i power walked through each contraction. constantly reminding myself of the job that my body was given to do. i really do love labor. as the rain came down, i could feel the pressure in the atmosphere moving my baby girl into position. it was so weird and so beautiful all at the same time. i prayed, i randomly called my mommy and my bestie, i sang.... ahhhhh that those moments were heaven for me. and the only thing that was missing was my husband. i wish he was there. i wanted him to be impressed with how i was handling it. i wanted him to see and be proud of what i was doing. but i now think that that was exactly the reason he wasn't there. it wasn't about me. the glory wasn't mine to have at all. i felt the closest to God in those moments. looking back, i now think it was the amount of focus that i had on him and the matter at hand. i wasn't thinking about bills, about what to cook for dinner, about cleaning my bedroom or doing laundry. i was focused on HIM. and trusting that he would guide me through this process. the pain really wasn't that bad at all. and as the contractions mounted, it was soooo helpful to walk my way through them. i kept confessing. i kept praying. i am a believer in the idea that God meets you were your faith is. the confession that i had copied noted all of the plans that i had for her labor and delivery. that my organs would move into their correct positions, that i would require no assistance moving the baby out etc. however, there was a part of the confession that i left out. a part that said that my water would break when the time had come to let me know that she was ready. when i got to that part of the confession i just skipped right over it. my water had never broken with my two previous labors and it was hard for me to believe that it would happen this time around. as i walked and confessed and prayed, i heard a small stillness in my spirit ask me why. and then that same voice instructing me to add that part back to my confession. i was then reminded of a message i heard from kenneth hagin and hearing him say, "faith will work in your heart, even when there is doubt in your head". the two hour mark was over. i stopped by the bathroom really quickly and snapped this pic below. BDH had arrived. and they took me back to an exam room to check out an progress. we got back to the room and as soon as we shut the door behind us. MY WATER BROKE!!!!!!! from then on, things went very quickly. pains were easy, nerves were high whenever i lost sight of my focus, family arrived, laughs and giggles filled the room (and sounds of hospital intercoms and heart monitors etc.) one epidural (because i like them) , a few hours and two pushes later.... we had a beautiful BABY GIRL!!! its been a joy ever since... i am surprised at how much i am able to recall a year later. i'm also kind of sad that i don't remember all of the details or specific timeframes but i am so glad that i took the time to sit down and write out what counts. i can now say that i have fully documented all of my babies birth stories and i am happy about it. "i heard your call in the nick of time; the day you needed me, i was there to help." well, now is the right time to listen, the day to be helped. DON'T PUT IT OFF; don’t frustrate God’s work by showing up late, throwing a QUESTION MARK over everything we’re doing. our work as God’s servants gets validated—or not—IN THE DETAILS. people are watching us as we stay at our post, alertly, unswervingly . . . in hard times, tough times, bad times; when we’re beaten up, jailed, and mobbed; working hard, working late, working without eating; with pure heart, clear head, steady hand; in gentleness, holiness, and honest love; when we’re telling the truth, and when GOD'S SHOWING HIS POWER; when we’re doing our best setting things right; when we’re praised, and when we’re blamed; slandered, and honored; true to our word, though distrusted; ignored by the world, but recognized by God; terrifically alive, though rumored to be dead; beaten within an inch of our lives, but refusing to die; immersed in tears, yet always filled with deep joy; living on handouts, yet enriching many; having nothing, having it all. dear, dear corinthians, i can’t tell you how much I long for you to enter this wide-open, spacious life. WE DIDN'T FENCE YOU IN. the smallness you feel comes from within you. YOUR LIVES ARE'NT SMALL, BUT YOURE LIVING THEM IN A SMALL WAY. i’m speaking as plainly as i can and with great affection. OPEN UP YOUR LIVES. live openly and expansively! it has been a goal of mine to grow this blog. not grow as in readership, but grow as in content. i've stopped and started many times, wondering what is too much to share and often times getting confused by comparison and easily forgetting what the goal is. when i started blogging again i wrote up a post addressing very specific ideas that i wanted to stay true to as i committed to blogging again. it was a necessary thing for me. and as i have found myself more and more in a "writing" groove, i have been met with the same question over and over again on blogging and privacy. how much is too much? there is a very real discomfort in sharing your everyday. a discomfort in sharing your thoughts, in sharing your dreams, in sharing your faith, in sharing your mistakes. a sure discomfort in living "openly". a safety in living in the small. but, i have to decide. am i in or am i out? i don't want things to be filtered or staged. i want them to be open and authentic, in a "syreena" kind of way. this post probably means nothing to you. but it definitely means everything to me. its time for me to live openly and expansively. its time for me to let love rid my life of any and every fear (and i currently have a ton of them). my life isn't small, and i'm tired of living it in a small way. i truly believe that i was lead to share a bit of my world. and this is me, deciding to just go with it. on another note, i am beyond ready for the spring weather to roll in in a strong way. besides getting to catch precious moments like a baby girl with her daddy (see above) being in the house with three small children is a no go. im excited about all the fun we will have this spring and summer. Today was a rough day for me. A rough day for reasons that I am unable to explain. Some things are just really hard. So hard that you no longer feel like you can do hard things. So hard that you feel like you would rather just run away for a while and pretend that the day didnt happen at all. Yep, that was today. Something things that happen in life, you have absolutely no control over, and some things you do. But, what I am finding to be true (as I grow older and wiser) is that you are ALWAYS in control of how you respond. No matter the circumstance, not even considering who/what is right or who/what is wrong, I control how I respond!!! <<<--- extra punctuation, just cuz. Today was a rough day for me, that's a fact. And, while it may take some time for things to completely heal, I REFUSE to let my hurt/pain dictate how I walk out these next few days... these next few weeks. I will be resilient and remain rooted by all the love that surrounds me. Because, despite how I may feel or what the enemy would love for me to believe... LOVE does surround me. I hate to be so vague, although the truth still remains. Today was a rough day for me, and despite how I may feel at any given moment, I have already chosen how I will respond!!! "I just try to live everyday as if I've deliberately come back to this one day, to enjoy it as if it was the full final day of my extraordinary, ordinary life." "Were all traveling through time together everyday of our lives. All we can do is do our best to relish this remarkable life." Ahhhhhh!!! Come on!!! Tell me that didn't get you right where it counts??? The photo above was taken several months ago. My lady baby was only a few months old, limited to eating and sleeping, tucked inside my baby k'tan wrap nearing 20 hours of the day. The truth is...this life of mine is an extraordinary, ordinary, remarkable one and it's About Time I refuse to let anything get in the way of truly living this full and beautiful life that God has given to me. That's the thing about time, it's so important not to let it slip away. Well, it's 4:26am and I have been awake for about an hour and a half now. Since I went to bed around 10:30pm Ive been up about four times and each time I felt one symptom after another coming on. First, a small cough, then an itchy throat, after that a few small chills which led to a sore throat. (drops head in hands and takes deep breath). For a very long time now, I've been living that exhausted life. That, barely get out of bed, feed the kids, play with them from the couch, nurse baby, struggle to keep my eyes open, the thought of the energy it will take to get everyone up and out the house exhaust me type of life. And, it's not just because I have three littles. To be honest, I was living an exhausted life even before I had my babycakes. Its been wearing on my heart, wearing on my faith. I've already gotten revelation on God's will for myself and my family when it comes to health and healing. The bottom line is that He is the same today and yesterday. Therefore, the problem most lie with me. And tonight, as the symptoms slowly started creeping up, I decided to turn on Joyce Meyer and do a little research on food and healing. Syreena Notes: If we want victory, were gonna have to find out what the word says, think how God thinks and learn to say what God says. We need COMMITMENT, not EXCITEMENT. To take action deliberately, to do something on purpose. Think what God thinks, say what God says, so you can have what God wants you to have. SET YOUR MIND! One of the biggest things that the enemy uses to hold me back is sickness and exhaustion. Small sicknesses. One at a time or all together, whichever (I guess) he feels is needed at the time, to knock me down a bit. I know what God's word says about sickness and disease. I know that his will for me has not changed. I found that out a long time ago. I got excited! But, I didn't need excitement. I need commitment. I need to be committed to taking action deliberately and on purpose. I need to think what He thinks and say what He says, so that I can have what He wants me to have. SET MY MIND. Tonight, or should I say this morning, I am deciding to believe beyond my feelings. I/We can be no good to this hurting world if I/we are sick & tired. So this morning I am setting my mind on HEALTH and ENERGY. And my deliberate, on purpose action will be putting forth efforts towards better eating, rest (peace... free of worry & fear), exercise, and LAUGHTER. I am not sure where this will lead my family and I, as far as "titles" are concerned. (i.e. vegetarian, vegan, paleo, gluten-free etc.) But what I am sure of is that it is my commitment to ask God for direction as far as what is best for my family. I do believe that our bodies are our temples and that they are to be presented as a holy sacrifice. To me that means that being mindful of what we eat, how we exercise , how we care for it and refusing to allow stress and fear are key factors in how our bodies function. p.s. I started my food research focusing on yummy snacks and craving replacers. And this broiled grapefruit fit the bill just fine. I remember my mommy making this for me when I was younger and I have no clue how I have forgotten about it until now. Half a grapefruit. a tiny sprinkle of cinnamon and a drizzle of honey. Popped under the broiler for about 10-15 minutes with a teaspoon of honey on the side. Love + Cupcake craving buster... so BOOM!! !